How Does Invisalign Work for Your Family? If you’ve ever asked — “How does Invisalign work for my family?” — wonder no more. We created this guide for all you wanted to know about this orthodontic treatment. At Gorman & Bunch Orthodontics, we have successfully treated more cases with Invisalign than 99% of doctors in North America — making us the #1 provider of Invisalign and Invisalign Teen within the state of Indiana. In fact, Dr. Gorman and Dr. Bunch were specifically selected by Invisalign to teach this orthodontic method to new orthodontic residents at the Indiana University School of Dentistry. • HOW DOES INVISALIGN WORK? • WHAT IS THE STEP-BY-STEP INVISALIGN PROCESS? • WHO IS THE RIGHT CANDIDATE FOR INVISALIGN? • HOW MUCH DOES INVISALIGN COST? • WHAT ARE THE PROS AND CONS OF INVISALIGN? • HOW DOES ONE GET STARTED WITH INVISALIGN? Invisalign treatment includes a series of clear, removable, custom-made appliances — called aligners — to straighten your teeth. 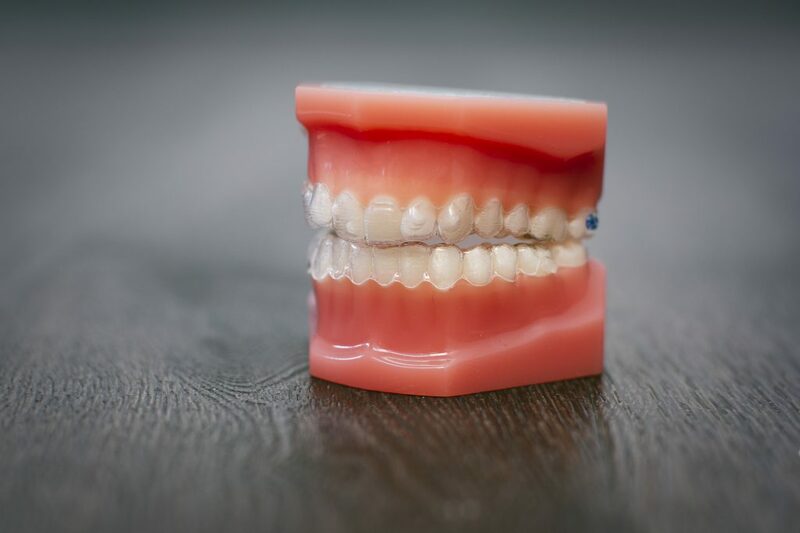 When combined with our knowledge of the 100-year-old science of orthodontics, the aligners shift your teeth in incremental steps to the final desired position for a healthier smile. We begin the process by taking a digital scan and creating a 3D model of your teeth. We then create a treatment plan based off the exact shape of your mouth. Invisalign then uses advanced technology to translate this digital plan into a series of customized aligners that you wear for 1 week at a time. Your teeth move gradually into their new positions as you continually wear and change your aligners. Then, after approximately 12-24 months, together we have achieved a new and healthier smile. We use the latest 3D imaging technology to create a custom set of aligners made specifically for you. As your teeth shift, you will switch to new aligners every week. Throughout the process, your teeth will gradually and comfortably shift with each new aligner, resulting in a beautiful new smile. • THE ALIGNERS: Instead of using wires and brackets, Invisalign straightens your teeth with a series of clear, customized, and removable appliances called aligners. The aligners are virtually undetectable and designed to move your teeth in small increments into the desired final position. Perfectly customized to fit your mouth, you wear each aligner for one week — only taking it out to eat, brush and floss. • THE SCANNER: Using a digital imaging scanner called iTero Element, we create a 3D image of your teeth in just a few minutes. 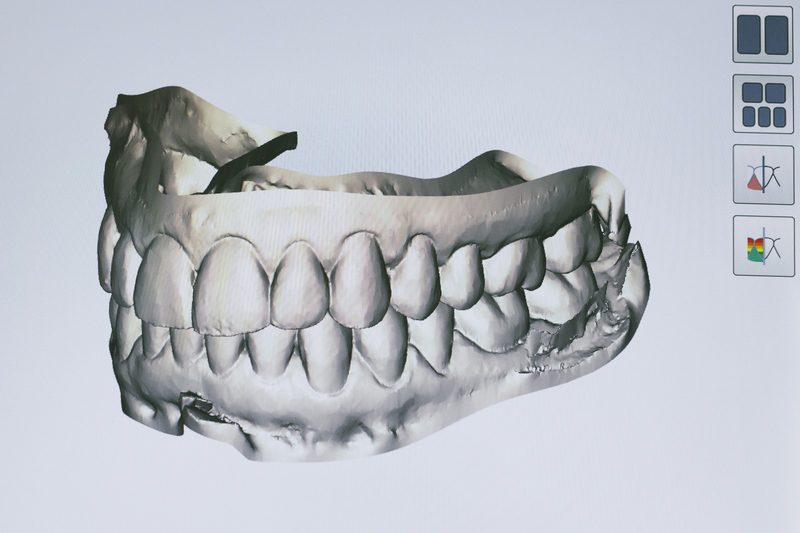 This scan informs us of the customized shape for your aligners. • THE SOFTWARE: Next, we use software called ClinCheck to create the digital treatment plan from your scans. We can create the entire plan — from your first set of aligners to your beautiful new smile — using this software. • THE MATERIAL: Invisalign aligners are made from a material called SmartTrack. They are extremely comfortable, nearly invisible, and easy to put in and take out. The SmartTrack material has been proven to apply gentle pressure to your teeth in order to move them to the desired position. • THE ATTACHMENTS: Using attachments called SmartForce, we are able to make complex shifts to the position of your teeth without the use of traditional braces. They are small tooth-colored pieces that attach to your teeth during treatment. 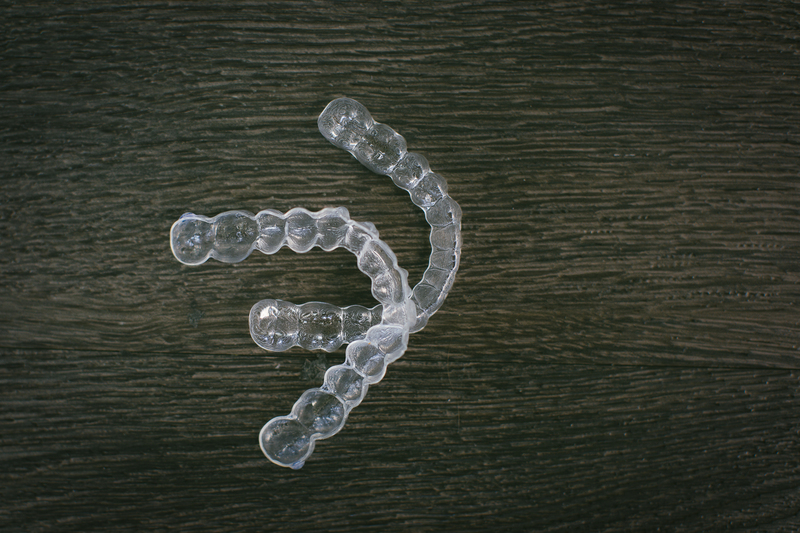 Your aligners fit snugly around the attachments and give your aligners a little something extra to gently push on. Quick Note: Attachments are not necessary in every treatment plan. • THE RETAINER: Once treatment with your aligners has finished, we then create a retainer within our offices to keep your smile in place. These retainers are just as clear as the aligners, maintaining a healthy smile without noticing anything over your teeth. WHAT IS THE STEP-BY-STEP INVISALIGN PROCESS? Our staff works hard to create a customized treatment plan for each patient we treat. We combine our years of experience with powerful technology to create a plan for a healthier smile. Step one is to take a 3D scan of your smile, in order to better understand the layout of your mouth. Then we create a digital framework for your first set of aligners and walk you through the process. We use industry-leading technology to create the aligners. Using the 3D scans, each set of aligners is customized to the patient. Invisalign aligners are made from a medical-grade thermoplastic material that has been specifically developed and tested by the Invisalign system. Once your first set of aligners are ready, you pick them up at our office. We will ensure that they fit properly, answer your questions, and provide you with tips on how to live with aligners. Invisalign aligners are worn for seven days, with each set pushing your teeth slightly straighter than the previous tray. Teeth generally move 1/10 mm per tray, moving your smile into a straighter position each time you switch to new aligners. The trays put slight pressure on your teeth to move in the right direction until your treatment ends. Your treatment options for straightening your teeth mainly consist of traditional braces and Invisalign. The major difference between the two are that braces include 1) brackets on your teeth and 2) a main archwire to connect them. We first affix the brackets — clear or metal — to each tooth and then thread the wire through the brackets to move your teeth into ideal alignment. On the other hand, Invisalign straightens your teeth with a series of clear, customized, removable aligners, instead of using wires and brackets. The length of Invisalign depends on many factors, including the complexity of your case and how often you wear your aligners. We strongly recommend that you wear your aligners for 20-22 hours per day, replacing them with new ones every week. If you follow this schedule, your treatment time could be anywhere from 12-24 months on average, and you will start seeing results in the first few weeks. WHO IS THE RIGHT CANDIDATE FOR INVISALIGN? • CROWDED TEETH: Crowding indicates a lack of sufficient space for new teeth to come in along the dental arch. Sometimes this occurs when teeth are especially large, and can also be caused by narrow top or bottom jaws, genetics, thumb sucking, and more. • OVERBITE: Also know as an overjet, an overbite occurs when the upper teeth cover the lower teeth. This happens as a result of genetics, bad oral habits, or overdevelopment of the bone that supports the teeth. Overbites can lead to gum irritation and issues caused by wearing on the lower teeth unnaturally. It can also cause painful jaw and joint problems. • UNDERBITE: Underbites occur when the lower teeth extend out beyond the upper teeth, often making the lower jaw more prominent. This alignment occurs by the overgrowth of the lower jaw, undergrowth of the upper jaw, or both in some cases. Underbites prevent normal functions of the mouth from happening, including front teeth and molars, which can lead to painful tooth wear, joint issues, and limited function. • CROSSBITE: Crossbites occur when the upper teeth are positioned inside or behind the lower teeth or the lower jaw protrudes out beyond the upper jaw. • GAP TEETH: Gap teeth occurs when you have extra space between two or more of your teeth, often resulting in pockets between your teeth and gums where food can get stuck. It sometimes leads to tenderness and soreness in your gums, and may lead to gum disease. • OPEN BITE: An open bite occurs when you close your mouth and your upper and lower teeth don’t touch. This often times makes it hard to chew, bite or swallow foods. • GENERALLY STRAIGHTER TEETH: Seeking Invisalign treatment for generally straighter teeth simply means you’d like a nicer smile and a boost of confidence for purely cosmetic reasons. • INVISALIGN FOR TEENS: We treat many teenagers who choose Invisalign as an alternative to traditional braces. 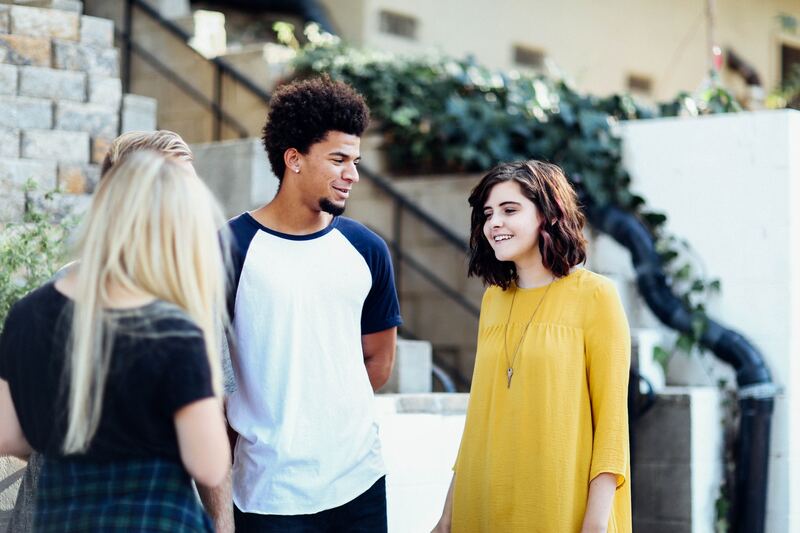 Through our Invisalign Teen program, we start by scanning your teeth with our 3D scanner, then create a series of clear, removable aligners that are meant to be changed out for new ones every week. Invisalign is extremely popular among teens because the aligners are removable and durable. Invisalign doesn’t interfere with any of your extracurricular activities, whether it be acting, playing soccer, running cross country, or playing in the school band. Invisalign will let you continue to do all the activities you love. • INVISALIGN FOR ADULTS: Adults may choose to receive Invisalign treatment for a number of reasons, including the invisible nature of the aligners, the affordability, extra comfort, boosted confidence, and maintaining a healthy smile. As with most orthodontic treatments, each patient’s treatment schedule varies, as does the final price — based on a number of factors, such as mutual goals, the intricacies involved, length of treatment, insurance coverage, and more. At our offices, Invisalign tends to be the same prices as traditional braces because it is our hope that every patient can choose between Invisalign and traditional braces without the burden of a difference in cost. We will always do our absolute best to work with you to determine the total cost and find a way to stay within your own budget limitations. • INSURANCE COVERAGE: Most dental insurance plans will cover Invisalign treatment in the same way that they cover traditional braces — meaning your insurance would pay for a certain dollar amount or percentage. Our office will be able to run your insurance and let you know exactly what it covers during your initial consultation. • TAX-FREE DOLLARS FROM FSA OR HSA ACCOUNTS: Before treatment begins, check with our office and your benefits manager to see if you can be reimbursed from your FSA or HSA accounts for Invisalign. • MAKE LOW MONTHLY PAYMENTS: Another option is to work with our office on a monthly payment plan for Invisalign treatment. Our goal is to ensure that you receive the best smile possible, and we want to work with you on ways to achieve this financially. Before committing to Invisalign, it is important to understand both the pros and the cons of this type of orthodontic treatment. • PHYSICAL APPEARANCE: The clear, plastic aligners are hardly noticeable (as opposed to metal braces), making the aesthetic appeal one of the biggest reasons people choose to get Invisalign. • GOOD DENTAL HYGIENE: With Invisalign, you remove your aligners each time you eat, drink and brush your teeth, which allows your teeth to stay extremely clean and clear of food throughout the day. • CUSTOMIZED APPROACH: Each aligner is customized exactly to your orthodontic situation, meaning the Invisalign process can often be more comfortable than other forms of treatment. • REMOVABLE: Because you can remove your aligners anytime you need to, Invisalign has less of an effect on your lifestyle than metal braces. You can eat whatever you want, participate in all sports, and play any instruments without interference from metal brackets, wires or elastics. • SPEECH IMPAIRMENT: While most of our patients adjust quickly to wearing their new Invisalign aligners — with no issues from day one — a small number of patients have expressed minor difficulty speaking while adjusting to their first 1-2 trays. • INCONVENIENT WHEN EATING While you can eat whatever you want with Invisalign, it can be inconvenient to remove your aligners each time you eat and drink something. • DEDICATION AND COOPERATION REQUIRED: The length of time with Invisalign primarily depends on how often you decide to wear your aligners. We strongly recommend wearing them for 22 hours a day, which can sometimes be challenging. • COST: While the price of Invisalign matches the price for traditional braces at our offices, there are some extreme cases where the required treatment process can exceed the cost of traditional braces. HOW DOES ONE GET STARTED WITH INVISALIGN? We understand that your time is valuable, and so everything we do at Gorman & Bunch Orthodontics aims at the goal of making your visits pleasant, informative, and productive. To get started with Invisalign, we invite you in for a completely complementary initial consultation, consisting of an examination, digital scans, and a discussion of what your treatment options could be. As soon as you are ready, we can start treatment, which begins with working one-on-one with our team in creating a personalized treatment plan. This process outlines the timeline, cost, appointment schedule, and more for you and your family to consider. Next, we work with our state-of-the-art technology to create custom aligners just for you. These aligners are to be worn for 1 week at a time, for just under 24 hours per day. In order to make your Invisalign process as easy and successful as possible, we recommend following these tips and tricks for the best experience. • STORE ALIGNERS IN CASE: In order to prevent losing, damaging or throwing away your aligners, keep your case with you at all times. • BRUSH TEETH AFTER EATING: Never eat or drink anything other than water with your aligners inside your mouth. Make sure to brush after you eat or drink anything, in order to keep your aligners clean. • DO EXERCISES WITH ALIGNERS: We have plastic chewies that you can chew on for 10-15 minutes each day with your aligners inside your mouth. These small rubbery cylinders help keep your aligners in the correct position and prevent you from snacking too much during the day. • USE ALARMS AS REMINDERS: We strongly recommend wearing your aligners for 20-22 hours per day, which can be hard to remember sometimes. Set alarms on your watch or phone during meals to prompt yourself to put your aligners back in after eating. • SOAK ALIGNERS WHILE EATING: Consider soaking your aligners in a retainer or denture cleaner when you take them out to eat dinner each night. This will prevent bad odors from spreading and stains from forming. Twenty minutes of soaking a day is a good rule of thumb to follow. • KEEP TRAYS IN WHILE WORKING OUT: For some of our patients, wearing the Invisalign aligners while running, playing sports, or working out can be a challenge because their mouths become too dry or conversely generate too much saliva. But for most, we suggest keeping your aligners in while doing all sorts of physical exercise. Here at Gorman & Bunch Orthodontics, we are committed to helping you straighten your teeth and achieve a brighter smile, no matter your age or situation. With multiple treatment options, including experts in Invisalign, and seven convenient locations throughout Central Indiana, we are here to serve the needs of you and your family. Reach out today to learn more about Invisalign, ask questions, and schedule your first visit. We hope to hear from you soon! How Does Invisalign Work for You?